Dr. Thomas L. Schwenk, dean of the University of Nevada, Reno School of Medicine, speaks at press conference on July 17 at UNR. For the first time in its history, the University of Nevada, Reno School of Medicine (UNR Med) will house an obstetrics and gynecology (OB/GYN) department, primarily to provide better services in women’s health in the Northern Nevada region. The new department will provide education for medical students in obstetrics and gynecology, along with providing training for primary care residents and research. The program was made possible from a $1.2 million allocation announced by Nevada State attorney general Adam Paul Laxalt. The allocation is part of a settlement with the pharmaceutical company, Pfizer and the State of Nevada. The settlement derives from resolved allegations that Pfizer unlawfully promoted certain postmenopausal hormone therapy medications. UNR Med will receive $3.8 million over a five-year period resulting from the settlement. Thomas L. Schwenk, M.D., dean of UNR Med, said at first the school wanted to divvy up the money for a variety of programs, but decided creating the OB/GYN department was the best option. 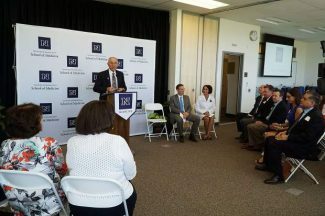 The announcement was made at a press conference at the William N. Pennington Medical Building on the UNR campus on July 17 with Dr. Schwenk and Laxalt in attendance. The allocation also aims to alleviate the shortage of physicians in Nevada, which ranks 48th in the country in physicians per capita. According to a press release from UNR Med, research has shown physicians have greater propensity to practice in communities where they have been trained. Previously, UNR Med had partnered with the medical school at the University of Nevada, Las Vegas, and allowed students wishing to study fields in women’s health to do so down south. “Before we would have students rotate down to UNLV, but now having that funding will help us with resources to create a better experience for our students and faculty,” said Neda Etezadi-Amoli, M.D., interim chair of the UNR Med OB/GYN department. She added the new programs will provide resources to benefit women in the region. “We’ll be able to assess what the community’s needs are and deliver those needs of women’s healthcare, specifically gynecology, to women in our region,” she said. Dr. Schwenk explained the addition of the women’s health programs at UNR Med will also have a great impact on the continued economic growth in Northern Nevada. “If we can improve the quality of healthcare that does not now exist, it improves the business climate, people may want to move here or businesses may want to settle here because they see the quality of healthcare is going to be at the level they may see in larger cities,” he said. 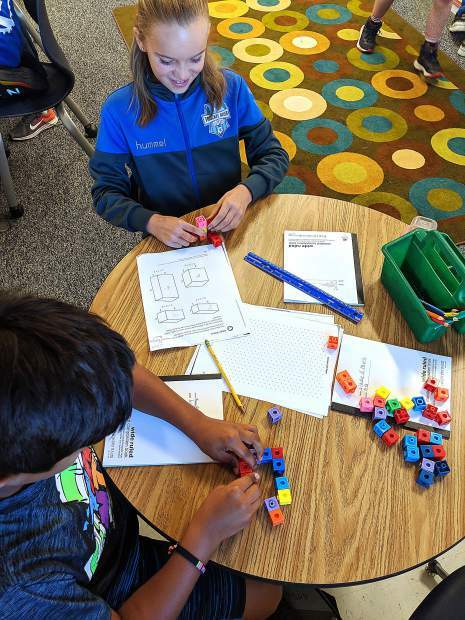 Even with the new program, Dr. Schwenkindicated facilities are already in place, but they are actively recruiting faculty and staff to support the new programs. “You could see us adding about 30-40 new faculty members in the next few years,” he said.